Slight ring wear, no stickers, no seam splits etc. First name written on back of cover. Inner: Danish EMI inner with handle instruction. Vinyl is graded vg+ or better (visually graded). 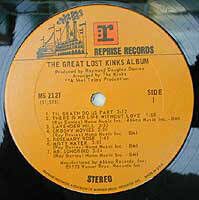 Label: Reprise steam boat(paddle steamer) tan label (groove), boxed "r", background colour is orange. "Made in U.S.A.". Clean labels. No creasing, no wear at spine hole. 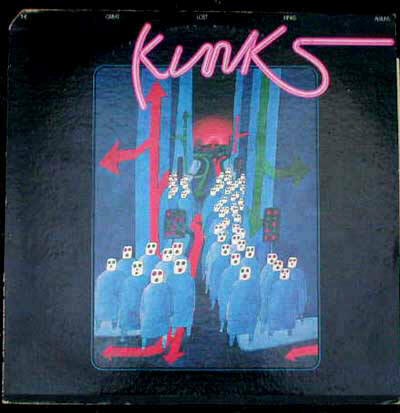 "Davies and the Kinks management first learned of the album's existence from the US Billboard record chart. 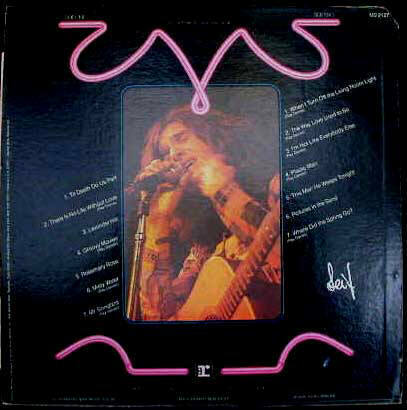 Davies instituted legal action against Reprise, which resulted in Reprise discontinuing the album in 1975. It became an immediate collector's item ..."
Name on back of covers.